Ahead of Sunday’s kick off of the inaugural Victorian Superslam, there is nothing but confidence from inside the walls of Casey-South Melbourne. The club sees the tournament as an opportunity to not only continue to expose its talented list to a high level of cricket, but also an opportunity to make a splash and have a genuine crack at taking out the Stars Conference. The Swans are fixtured to take on the Prahran True Blues and the Dandenong Panthers on Sunday at Central Reserve in Glen Waverley for the opening round, and firmly believe they have the squad to go deep into the inaugural tournament, one in which has brought serious excitement considering some of the names that are set to feature in the revamped Twenty20 competition. 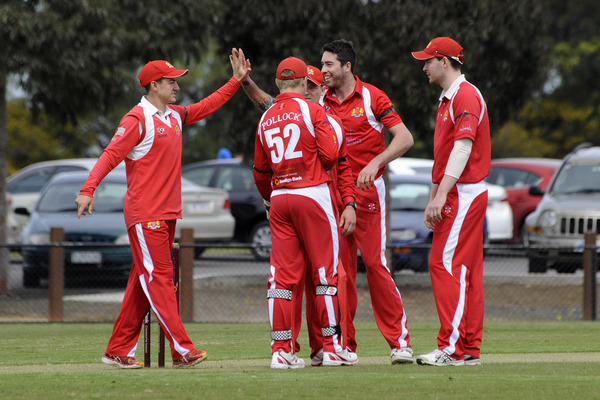 After locking down the majority of its core group for the tournament, including star skipper and Sussex product Luke Wells, vice-captain Lachie Sperling and spearhead Nathan Lambden, the Swans have locked in three marquee players for the tournament, all with considerable firepower. Former Sri Lankan international star Nuwan Kulasekera, 36, who took 199 ODI, 48 Test and 66 T20I wickets will pull on the Swans colours as the first signing, and he will add immense ability not only with the ball, but as a striker who can launch a ball well over the ropes. Kulasekera – who is in Australia playing in the DDCA for Mordialloc – was once ranked the top ODI bowler in the world for a brief period in 2008, and is sure to draw crowds and plenty of attention. Hallam Kalora Park all-rounder Jordan Hammond is the second marquee player to join the Swans, with the medium pacer and middle order batsman a quality signing who has played some wonderful cricket in the DDCA, and a sought after player in Premier Cricket, while Pakenham star Dale Tormey, a former Premier Cricket superstar, will also add serious firepower to the Swans’ middle order, having already smashed 259 runs in just four digs in club cricket this season. 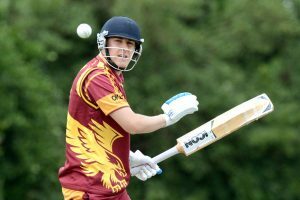 Other players to keep an eye on are middle-order batsman Jordan Wyatt, who is well suited to the white ball, all-rounder Dylan Hadfield, who has the ability to quickly turn a game with both bat and ball, and young spinner Jonah Serong, who has built a solid reputation as being a crafty white ball option. Casey-South Melbourne cricket operations manager Craig Lambden said he can’t wait to see what the talented squad can produce, adding that it was a difficult decision to pick a group considering the amount of in-form players down at Casey Fields. “That’s the great thing about our club at the moment, the depth – we’ve got half a dozen games, so we know that if a couple of blokes fail, we’ve got guys ready to step up, and ready to go” he said. “We feel really confident going in (to the tournament), and the three players coming in with Dale Tormey, Jordan Hammond and, Nuwan Kulasekera, the 180-odd international player, is a ripper – we’re really feeling confident about our game at the moment. The competition is split into West/East areas of Melbourne, with the West to be the Renegades Conference and the East to be the Stars Conference, with the aim of aligning with the Big Bash League clubs and creating pathways and enhancing development of Twenty20 cricket. The finalists for each conference will play in the Grand Slam Final at the MCG on 27 January, with both finalists earning a ticket to play in the National T20 Premier Final in Adelaide in March.